Shenzhen Wentong Electronics Co., LTD. WT2400400 Open Frame power adapter 24V 4A 96W 80% 146x55x39 cable 150mm plug for W2400-03PSYTW1R C14. 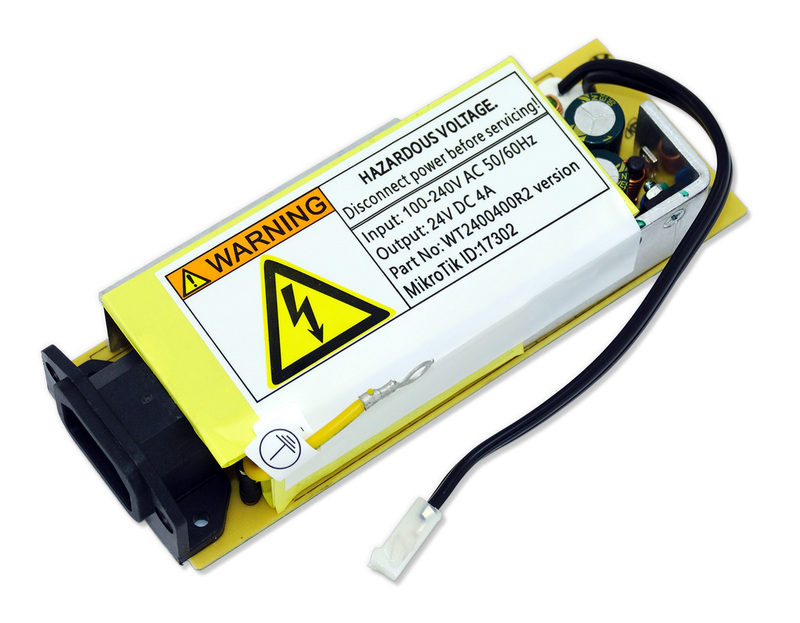 Plug in replacement power supply for Mikrotik Cloud Core Routers. Uses standard USA AC input power cord (not included) and operates from 100 to 240 vac. UL approved for use in the USA. NOTE: WT2400400-R2 was the first revision observed but other revisions exist. These come from Mikrotik and all are compatible with Mikrotik CCR products.